It happened again today. In fact—and I know you’ll doubt me but it’s absolutely true—it happened twice in one day. Two different stories with the same sad end. In the first one, the author had gone to Outskirts Press, a subsidy publisher. She had the first book in a series, and wanted to brand the covers with her own art as a way of tying them together. After getting resistance about using her artwork, the author insisted. When the books arrived, the artwork had been cut up and put back togther with completely irrelevant images that had nothing to do with the book. The resulting book cover, as you might guess, is a disaster. In the second story, the author went with Balboa Press. Do you know it? This is part of the gradual co-opting of the independent publishing houses by pure naked greed in the form of an alliance with subsidy king Author Solutions. They see all the money authors are paying to publish, they see every day how desperate writers are to get a contract with a publishing house. They decide to cash in, and Author Solutions is only too happy to help. Author Solutions owns the AuthorHouse, iUniverse, Trafford Publishing, Xlibris and Wordclay imprints. It calls itself “the world leader in indie book publishing” despite the fact there is nothing even vaguely “indie” about the company or the books it produces. But major independent publishers, perhaps pressed by the economy, perhaps with one eye on the coming tide of e-books, have also joined forces with Author Solutions. First it was Thomas Nelson, the huge bible and religious publisher, with West Bow Press, an enterprise operated by Author Solutions. By tying the subsidy business to legitimate publishing houses, a true monster was born. The one thing the subsidy businesses lacked was respectability, and with good reason. But now, with major independents falling into line to reap the profits of the many people coming into self-publishing, respectability is guaranteed. This author bought into the dream at Balboa Press, the Author Solutions-run subsidy branch of Hay House, a respected independent publisher of self-help and spiritual books. But many other publishers have also set up these so-called “self-publishing” branches. So if Hay House doesn’t want your book, you can pay to publish at Balboa. What Business are Subsidy Publishers Really In? Now there’s nothing intrinsically wrong with paying for publishing services. That’s how I make a living, along with a lot of other professionals. But there’s a bait and switch involved here. Writers are sold by manipulating the dream they have of becoming successful published authors. But the truth of subsidy publishing has nothing to do with selling books. All the income of these companies comes from their own customers/authors. Because of this one fact, you can see that bringing in new authors, selling author services like editing, marketing, design and typesetting, are important business activities. Since selling books is irrelevant to the company’s profits, it’s logical that as little money and effort will be expended on the books themselves as possible. That’s how you maximize your profits. But if you look at the “packages” that these companies offer, you soon realize you will be spending thousands of dollars to get into print, and that’s before all the upsells kick in. And before you start buying your own books. I won’t even go into the litany of abuses these publishers heap on their customers, the same authors they pretend to be such champions for. The PDF files I’ve received with watermarks on every page, making it impossible to use the file for reproduction. The refusal of the publishers to turn over reproduction artwork for book covers the authors have bought and paid for. The list goes on and on. So anyway, the second author went to Balboa Press, since her book is on a subject close to what Hay House publishes. She paid for everything. But here’s the problem. The greed, once it starts, begins to consume everything. Her book is a 6″ x 9″ paperback with 284 pages. The retail price Balboa has set—and the author has no choice in this—is $22.95. I told her outright she would never sell the book. Who will buy it? But wait, it gets worse. The author ordered lots of books to sell herself and to use for promotion. How much did the books cost her? $11.50 each. A quick calculation told me that the publisher was paying their print on demand supplier about $4.90 to manufacture the books. More than likely the printer is Lightning Source, and part of the sell to the unwary author is that they will get “national distribution,” a scam so pervasive it deserves its own article. So the subsidy publisher, not content to take thousands of dollars to produce a substandard book with a price so high no one will ever buy it, has turned the author’s own purchases into a profit bonanza. You pay them to create the book at inflated prices, then you pay outrageous prices to buy your own book. They are taking a profit of over $6.00 off every book this poor author buys. I know the subsidy business is huge and growing because publishing is not, in the end, a simple or easy thing to do. Many writers don’t want to take on the considerable chores of publishing their own book, and look for a “one stop shop” type of solution. This is one of the simplest reasons to educate yourself before you commit to a particular publishing path. I’ve consulted with half a dozen writers in the last two weeks, and this power of a little education has been proven over and over again. With better information, people make better decisions. When the facts are plainly in front of them, most people know right away what to do, it’s not confusing at all. There seems to be room in this business for a subsidy publisher that honored authors instead of ripping them off. One that was transparent about their services instead of relying on hype and pretty websites to seduce people. A subsidy house that committed itself to helping its authors succeed at the one basic task anyone in this business ought to be dedicated to—getting their books the widest possible readership. Now that would be something. In the meantime keep studying, keep learning. Book publishing is an incredibly exciting and rich place to be right now, at the nexus of change. There are huge opportunities for the entrepreneurial author, and they will continue to multiply. But the authors with paperbacks that cost $23, are poorly edited and unattractive, those people will miss out. Any Trafford Publishing complaints should be directed to the Indiana Attorney Generals Office Gov web site and file a consumer complaint. Is there any way of cancelling, especially since its so new? Lesley, you need to check your contract very carefully about the publisher’s termination/cancellation policy. Thanks a lot for this article. I have self-published my first children’s book in a series as newbie with Westbow Press but mostly dealing with Author Solutions consultants as mentioned in your comment and some other’s experience. I now have to find ways to marketing the book via social media or finding a PR agency for it (as I couldn’t afford paying Westbow any further price for marketing). Also considering to find better ways to publish the next book. Please are there publishing houses, PR agency, professional editors or illustrators in this category you/anyone can recommend? I published my first of four books through Balboa Press… and the experience has been worse than I ever imagined it could be. I had no idea I would spend 10 months fighting them to do what I paid them $13,000.00 to do. That being said, I need to find a different self-publishing company. I’ve read a lot of complaints and reviews… but I still have no idea who I should go to. Steve, I’ve sent you a message via email. I published my first book with Xlibris (AKA) Author Solutions! I would like to know what other publishing companies out there that you can rely on. I know for a fact my book has sold copies of my book. I have not seen in royalties from these sales! Are there any companies out there that you don’t have to pay them for services? Thank you! Any complaints about Trafford Piblishing should be directed to the Indiana Attorney Generals Office Gov web site and file a consumer complaint. Thanks Joel for the free e-book on self-publishing. I’m sure it will come in handy. After a long time spent on weighing the pros and cons of self publishing, I’ve decided to go ahead with it. Why? Well, for one, I don’t think I’ll be able to get my first novel of a trilogy past the gate-keepers, i.e. literary agents because it straddles two genres and of course, I want to be in control of what happens to each book I publish. After reading the horror stories of so many people, I am now terrified. But I shall persevere. Author Summit 2015 is taking place next Saturday at Four Points by Sheraton. There are workshops that will give you a step by step guide on marketing and PR. I intend on taking a LOT of notes and asking a lot of sensible questions. I’ve decided to keep it simple; get myself a good editor who will work with me on structural edits, start with Kindle Direct and ease my way into POD depending on how sales go. If I’m a complete snowball at marketing and PR then I will invest in a good PR agent. Hopefully it won’t come to that. Helpful, Joel. Thanks. As an independent editor, authors often ask me which way to go. Top two of your most recommended publishing services? Valerie, I usually rely on the in depth research and reporting by Mick Rooney, and you should check out the most recent edition of his Publishing Service Index. This site should be used as a reference guide, especially for newbie writers just getting into the game of writing. If you are just starting out, this could be used as a pocket testament reminder into the world of writing, and will clear away some fog regarding what publishing could mean for you. It also warns of all of the slippery slopes awaiting you as you head into this NEW arena. You are NOW headed into shark-infested waters – The whole of the writing world! Cheers, Don. I’ve been offered a contract with a small traditional publisher for my book, yet they are upfront that they require all authors to purchase at least 100 copies of their own book, and only 5% royalties. I’m wondering whether I would be wise to accept this contract, or whether I would be better to self-publish. My understanding is that self publishing may in the eyes of some people in the industry, still have a stigma attached to it (although that may be slowly changing) and I’d be more likely to get my book into bookstores if it were traditionally published. Yet I’d probably earn more self-publishing. It is such a difficult decision. Any advice welcome. Thanks. Hope you don’t mind be butting in! I know that those 100 books seem to be suspiciously like the amount of books needed to order through a well-known printer-distributor in order to waive setup costs. Sounds like your publisher is trying to offset their production costs by getting you to pay for it. Also, ask them what they mean by distribution. Being listed on a database won’t get you in bookstores and isn’t the same as an active distribution partner. Thanks for your advice. Yes it seems that they ask their authors to take a financial risk. I thought I would go with a traditional publisher is because it may give me more credibility, but perhaps that isn’t the case. It is a difficult decision to make. I was taken in by the now defunct Winepress. Having lost on the deal in marketing and dollars, I decided to set up my own press. I found a good and cost effective designer, a printing press and an editor. I have not looked back since. My company is called Pokrov Press. I am in the process of producing a new novel. However I need to put more effort into MARKETING. I am reading your comments with great interest. I published with Westbow and the book turned out with a beautiful cover and quality interior but the price set for the book is too expensive. Inquiring from other companies, xlibris offers an interesting package price wise but the price for finished book is higher than Westbow, then there’s Dog Ear, whose pkg is reasonable, with finished price of book more reasonable but if I understand correctly they do not offer e-books. Aren’t E-books the “thing” now days? My sequel is ready followed by its sequel. I have had great feedback but I certainly need to break even. Do you have any suggestions? I need a company that supplies all the legal concerns as I am not educated to that. Thank you. Love your willingness to address writer’s issues. I was glad to read this article. Everything that is mentioned here about the vanity Publisher is true and then some. Here is my short story to add. Before Amazon became the worlds biggest book retailer and set up its dynamic platform for authors who wanted to self-publish, about five years ago, in my enthusiasm to get published fast, I signed up for a package with iuniverse [one of the companies mentioned in the article]. I paid almost $900. I knew something was strange when I didn’t even receive so much as a “Welcome letter” after paying so much money. when my book was near completion I was told to contact this company so they could “walk” me through the process. Man was I excited! My dream was about to come true. The phone was answered by a woman who was obviously eating lunch and munching away in my ear while spewing off writer quotes and then trying to sell me another publishing package before we even had time to discuss the book I was ready to publish. The warning signs were everywhere, and what made it worse was, this very bad “salesperson” wasn’t even trying to hide it. She then said I needed editing done on my book, which I admit, I did. Shen then quoted me a price right away based on the word count and it took her all of six seconds to plug a number into the calculator and come back ayr me with a quote for $7,000. That should cover everything, she said. I realized then and there I had taken the wrong path for this. I hung up the phone and was hounded for several months by this woman and her team. I gave up on the vanity publishers and never looked back. Now, three weeks ago I had a call out of the blue from a woman out of Singapore claiming to work for Trafford who wanted to take care of my “publishing needs”; she got my number off a pamphlet I downloaded more than seven years ago. These people are relentless I’l give them that. I told her to @@## off and that was that. I learned a lesson with hess so-called publishers and the stories of people being ripped off. For authors out there who “don’t know any better” such as I was, this is the pathway you definitely want to stay clear of. Thanks for posting this. I have been waiting years to tell my story and, in the past year I’ve published several books, made some money, and am having fun doing it…and it still cost me less than $900.00 even with the professional editing. I’ve written a book on the films of an Indian filmmaker and is looking for a book doctor/ editor and a company who can help me self-publishing the book at a very reasonable cost. Any suggestions? 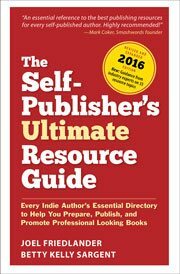 Sakti, you might want to check out my new book, The Self-Publisher’s Ultimate Resource Guide. It’s got over 850 curated and verified links to editors, self-publishing companies and a lot more. Good advice, thanks Joel. I can’t actually find a contract, and therefore no information on what happens if you want to end it! (I read elsewhere someone saying they hadn’t got a contract.) What I do have is a welcome letter from a ‘Check-In Coordinator’ giving me a project number. What I’m going to do is write to them asking for a full refund, and be ready to see a legal eagle if need be! I’ll keep this blog posted. Thanks again. Having paid for an expensive package with Balboa, I have now read up on Self-Publishing and POD printing. I’ve got some excellent advice on how to proceed, and need to begin the process of asking Balboa to refund at least part of my money. I have hunted on their site, but can find nothing about refunds, no conditions, percentages or any ‘fine print’. I’ve held off writing to them, hoping to be better informed when I do. Have you any advice please? I suggest you carefully read the contract you signed with them, it should have all the cancellation information in it, and you might want to also speak to an attorney if you feel you’ll need help extricating yourself from the contract. I have no website at moments, I am first time writer, I read many of the self-publication package offer on the internet, the more i read the more i become suspicious of getting reaped off. I am out there to get someone that i can trust. reading your experience make me more reluctant to trust. How can we find a genuine publisher? Great information on this blog. What can anyone tell me about Morgan James? I’ve sent in a manuscript and had an initial introductory call. Yes, I know it is sort of a pay to publish program. Has anyone worked with this company? I am preparing a blog post on the company. My initial impression is that MJ is both egomaniacal (“reported as being the future of publishing”) and dishonest in the way it compares itself to other publishing methods. It wants to seem like a traditional publisher but its website looks very much like a site for a pay-to-publish company. The site is intended to attract authors, not readers. Random House and Simon & Schuster do not advertise to attract authors. MJ requires that “Authors provide a fully edited, proofread manuscript.” That’s not the way traditional publishers work. MJ offers authors “small advances” and requires its authors to purchase thousands of books. It reminds me of the dreaded PublishAmerica (now America Star Books). I urge you to stay away. Has anyone had any experience with Telemachus Press? I am preparing a blog post on the company. My initial impression is that Telemachus’s prices are extremely high with no apparent competitive advantage to justify the prices. They brag, “With Us You Get the Greatest Profit per Book,” and “Make more money.” Their prices are so high that it will be extremely difficult to make a profit unless your book is amazing and you are very lucky. I have been doing quite a bit of blogging, as weld was working on several book projects. But since I have not written a manuscript I have yet to contact any for of publisher was yet. O I was quite surprised to receive an email from Westbow offering their services. I deleted the email so I am going on memory here, but it seems they have read some of my blogs, liked what they had read, MD wanted to both encourage me to write a book and to assist me in publishing it. Nelson Publishers was plastered all over the email with Westbow in small print. Naturally I thought I had been contacted by THE Nelson Publishers, a company I am quite familiar with. By the Grace of God I decided to Google Westbow tonight just to explore what they were all about, and I accidentally came to your website. I want to say thank you for the time you folks take to offer information, because it has answered my questions and saved me a lot of grief and money. Glad to hear that your research paid off, Stephen, you’ll be happy in the end. This site just saved me a bundle that I don’t have! I’m currently on social security disability, trying to find a way off benefits without causing myself to lose everything before I have it replaced by real income. I’ve been creating that I will be off all benefits by the end of 2014. The Universe is lining up with that creation by having me find pools of information that further my success, like this one, and prevent me from falling into traps like Author Solutions, et al. I am creating myself as a Medical Diets Transition Specialist – how to get into the lifestyle the doctor just prescribed – whether it be Gluten Free, Diabetes, or any other Medically Prescribed Diet. She suggested I take the database of knowledge I have locked in my brain and get it published. Up popped a boatload of “related ads” for multiple companies all promising me to publish my book. A quick Google search after a conversation with a rep from iUniverse and a cautionary text from my coach got me doing some research. That brought me here! What I need is a coach/mentor. Someone who will hold my feet to the fire for the timelines – part of gluten intolerance that has gone untreated for so long is brain fog, memory issues, depression, and anxiety, got ’em all in spades. I want someone to read the book as I write it and get the editing done as we go, less overwhelming for me to have things done in chunks rather than all at once. Is there anyone out there who does this? By the way, it’s kind of a “out of the goodness of your heart – until I start making some money” type of deal. I’ve downloaded all of the free guides, I’m on the waiting list for the next one, and will purchase the PDFs when I have a spare $46.00. Though I have difficulty with retention at times, I’m a fast study and a very good student who happens to be extremely coachable! to give you an idea of my standards. You will see that I paid Westbow for publication. Westbow is ASI pretending to be Christian and pretending to do something with one’s book. It was a matter of keeping a dog and barking yourself all through my experience. They were better than CreateSpace in that I have got hardback and several types of ebook out of them, in return for several hundred dollars plus a pile of work on my part. Write to me at diana dot maryon dot telus dot net . I apologise that I have only just seen your message. Jay, I am a self published author, too. I completed my book in 1996 and after querying it around to the mainstream publishers and somehow getting on the target list of the subsidy/vanity press, I formed my own publishing company and self published and sold my book. While I don’t profess to have done that great (I sold about 18 shy of 1,000 books), nobody owned me. I don’t regret my decision to go in the direction that I went in; it’s a free world out there and there’s room for all of us. Gary. I’ve self-published two books (l and 2 of a trilogy), with Dog Ear. I think it sold about 3 books, as my last “royalty” check was for $2.20. Enough for a cup of coffee. I have spent hours and hours researching a publishing house that will do some active promotion of my 3rd book, and only come up confused. I’m about ready to resort to armed robbery for a career. Dog Ear is now offering a “digital package” with various social media mentioned. I can’t get a real answer of what that would do to get some promotion from them. It may lack the cake, but not the icing. I’m sure they are licking the icing off the big payout by the author as each book sells. Writer’s Digest and I go back a long way. :-} D.
I have to thank you for this site, it has really helped me. I am just starting and I have considered the self-publishing solution primarily because of the time it takes for traditional houses to respond. I don’t mind rejections but taking that long is counter-productive nowadays. However, all of the self-publishing companies that contacted me were pretty awful pushers. I dont understand their actual role either. For this reason I decided to be the actual self-publisher but I have no idea how to start. I was wondering if you could provide any advice about the process please. I entered into a contract with a subsidy publisher. As a newbie, I didn’t know that they were a subsidy publisher because they call themselves a traditional publisher. Regardless, I have paid a portion of their up-front “publicity” fee but have since decided that I do not want to pursue this subsidy route after all. How can I get out of the contract? There is a termination clause in the contract but it focuses on production and post-production, distribution, promotion, etc. I’m in none of those stages, as I have not yet submitted my manuscript to the publisher to begin the production process. I sent them an email and they were sorry to hear my decision to terminate–I didn’t go into specifics, but they said they don’t issue refunds. Can they keep my money even thought a “transaction” has not taken place? Sounds like you need the advice of an attorney, but I can say that many authors have gotten released from these contracts in the past, so don’t give up hope. I completely self-published my first book hiring my own cover artist, book designer, editor, printer, etc. The only thing I couldn’t get without signing my life away was a way to get my book into libraries and on the wholesale market. With my second book, I chose Lightning Source as my printer and was accepted as a client. They have been fantastic to work with. They have readily answered my concerns and provided me with print copies of my book at a very reasonable price. As the official publication date for my book is September 1, I cannot yet judge how many sales their wholesale market will generate, but it will definitely be more than I had for my first book (which was zero)! And i didn’t have to jump through the Amazon Advantage hoops to get it on Amazon, saving me countless hours! I HIGHLY recommend Lightning Source, Inc. Thank you for addressing Balboa Press. There is much more. If there are any authors that thought they were using Balbao Press, A Division of Hay House, only to find out they ended up with Author Solutions, Inc. et al, leading to egregious malfeasance and an experience that only Rod Serling could give credence to – you are not alone. Please find me. I too have entered the crazy world of self publishing, but for my children’s illustrated book…Another Balboa adventure…here’s my dilemma and I’d love support on this…once submitted, the “retail price” went from an estimated $12.95 to $15.99 … I can cut out a few pages (“this book belongs to”, shorten the activity page, bakcground story) and get back to $12.95…but…since amazon discounts everything anyway, should I go with the higher $15.99 so once they cut it down it’s $12.99 anyway??? How many pages is your book? Also, find out the COGS (Cost of Goods) Balbao ‘states’ that Ingram and Lightning Source are charging for your book for distribution and print of your book. It appears the COGS are inflated and Balboa/Author Solutions et al receive a back-end on the COGS, lowering your royalty, increasing theirs, without disclosure. Your worry is not Amazon. If you are going to offer Ebook, etc. in truth your royalty is 50% minus technology fees, taxes, etc that are not disclosed as to the amount. There is much more. it. You’re making it enjoyable and you still care for to stay it wise. I can not wait to read far more from you. This is actually a wonderful site. The other form of naked greed (great alliteration) are companies that charge for consultation over the phone for self-publishers. I have seen these companies advertise their services on social media sites. I have designed heavily illustrated books for self-publishers and new publishing ventures but never charged a cent for consultation or explaining the necessary workflow required for a good outcome. I only charge for the actual design and production work. Author beware of companies charging for consultations. Obviously, informative websites such as this are a much better way to learn about the publishing process. Hi Joel, I started with Trafford publishing years ago – when it was an honest little company in Victoria, B.C. I am a counselor and I wrote a book for kids dealing with grief (When Goodbye Seems Forever). I used all of my own photos for each topic of grief, and I did a mock book through Creative Memories (a computer photo-book program) which is awesome. Over the years… I know it has taken me a long time, but I am also a working mom of 3 teenagers, Trafford has done to me exactly what I read about in your article. Since I wouldn’t accept that the cheap paperback book they said I had to sell for $20.00, was all they could do for me, I have shelved my own book! I am now requesting it be removed from their company and will loose the thousands of dollars that I have spent with them on this. I am hoping at some point to have my book published properly and sold for what it is worth. However, is there any legal road I can take to get at least some of my money back for the dreadfully poor job, unfulfilled promises, and outlandish lies from Trafford? Sorry to be another sad story! Roz, thanks for writing and I’m sorry to hear about your frustrating experience. I can’t honestly say what kind of case you would have, but I would encourage you to ask an intellectual property lawyer about it. And I hope you won’t let the book go idle either. With the tools we have available now as authors, it’s not that difficult to put your book into print, and it can be done at a very low cost. By POD self-publishing you do all the work of a publisher and barely get what a writer gets on publishing contract in %, or a small fraction of that in actual money. This is how the business is designed and the only way it can be. The high POD production costs and high markups of these businesses eat up the publishing profit, author profit, and most importantly, distribution options. Check the % of profit on your book when things are equal to a print publishing with distribution. Everybody else gets their money. If the book is more than 128 pages or so, the POD production cost eats into author profits. Most of the times, it leaves no room for real distribution. Why would a writer want to do the publisher’s job for free or lose the life distribution gives to a book? Vanity? If you can really be a publisher by producing in offset print run and in automatic binders, you get a low cost which leaves room for making money by using real distribution. And please, please, don’t pay $5000 or whatever to get your book in POD publishing. It will probably cost less than $1,00 per unit in quantity if you do offset and series binding and this will give you room to move. Anyone recommending spending that kind of money on a pure POD project is into scamming you. At that kind of cost you can produce cheap books in great quantities, work directly with a distributor, put some money into advertising, and actually make money. And, btw, I’m not an author. I have more than 30 years of experience in printing, binding, distribution and order handling in two European countries. I do know though, that most of the self-publishing success stories were heavily manipulated or even manufactured to serve specific marketing goals. A few were even the result of scams on the part of the author, gaming the system when it was young by fake paid reviews and riding on the momentary publicity of specific self-publishing technologies. Some authors are happy and some major companies are happy selling their ebook devices. Oligopolies are formed, in the print and ebook business. The funny thing is that authors feel great. They are not aware of the consequences. I’m 75yo and retired, but things will change for the worse for your generation (20, 30, 50 it’s all the same to me, youth! ), and authors will be those hurt the most. The days when the only option will be to get $0.01 from the online content distribution companies are not far. It is already forming in music and video, books are next. And content creators are ecstatic at the possibility of giving away their work “for rent”, while the large corporations are putting them on a cage. Lonso, I’m sorry your experience in printing and publishing seems to have left you a bit pessimistic. Or perhaps you are not that familiar with the book publishing industry in the U.S. If a book is properly planned and produced, there’s no reason why it can’t be financially very successful through PoD, and in fact many authors are making a pretty good living doing exactly that. As far as paying for services, again this depends on the individual author, their specific book and the goals they have for it. And I know some of the very successful self-publishers, and they are not liars, scam artists or manipulators, just hard working authors who have learned to use the new tools of publishing to their advantage. Although there are scammers out there, and authors who manipulate their “numbers” and firms that overcharge for their services, tarring them all with the same brush is factually incorrect and misleading to others. I have written what I feel is a good book that will probably be well accepted by all who reads it. However, the only ones that calls me about publishing are people who want money, money, money, and promise me the world of publishing and distribution. Exliber had a so called publishing consultant call me from the Phillapines but I am from New Jersey where everyone tries to take your money so the last thing I would want to do is send my money or my book to the Phillapines. Publishing has me so confused for all I want is someone to look at my book and if they feel it is good enough, help me publish and we can make money together. The Yellow Brick Road doesn’t have to be paved with gold or pearls, and the people who would read my book wouldn’t have to be rich. It sure would be nice to make some money but honesty is the most expensive and hardest thing to find. Do you have any experience or knowledge about Green Company LLC publishing in East Orange New Jersey for if not anything else here is a company for me who isn’t a half a world away who I could possibly walk in and show my book. My cover, side binder, and back are all done and I’ve done my best to see this book be read by one and read by all but how is the question? Please Help. That’s the description of a traditional publisher, so maybe you should be looking for an agent to represent you. On the other hand, doing it yourself doesn’t have to be that difficult. I would avoid companies like Green Company, which seems mostly to be a printer. Instead, try CreateSpace.com. I recommend them. I don’t see any mention of PublishGreen which is a subsidiary of Mill Press, and they say you get 100% royalties…yes there are packages, differing according to your needs including editing for bigger package, some add-ons per word over 75,000 (is that a usual length for a novel?) etc but they promise lots re distribution (nook, kindle, etc etc). Hand-done formatting too. What do others think? I have been a customer of PublishGreen for two of my books, and I highly recommend them. They do great work, hand-done formatting via HTML code, and has some of the best distribution options. 75K is about the length of a standard novel and other ebook formatters or publishers usually cut off at that length and require a fee per additional X thousand words or images–that’s standard procedure if you hire someone. Yes they don’t take any royalties at all. They also have the option of creating a sales page where you can sell your book from your website where you don’t have retailer fees, and you can create promo codes if you want to offer your book for free or at a discount. They are definitely a good choice for people with children’s or coffee table books that may not be meatgrinder friendly. My last comments I misspelt your name as i use Joe. Please Joel, forgive one form down under, my apologie. Sorry it took so long to get back to you as I was out of town. I know that you are overwhelmed–self publishing is very overwhelming. Anyway, you absolutely must start with finding a good editor. I have a group where I can find you an editor if you need one. It will be best to give it a line/stylistic edit. If you go with a freelance literary editor instead of an editor at a self publishing company you will get a great edit for a great price. The editing process is what takes a bit longer, but it is one of the most critical. After you have your text all shiny and pretty submit to your chosen publisher–if you still on planning on using a publisher or doing it yourself. The DIY process is can be more overwhelming since you must handle everything yourself. Working with a publisher means that everything is under one roof, doing it yourself means you must find a book formatter, cover artist, and a distributor in addition to your editor. I have connections with these sort of folks too, and this is where Joel can help you too. Joel is correct when you must look out for publishers that require packages. Some of them are predatory like Xlibris and Balboa. This is what you need in any basic publishing package: cover design, interior design/formatting, website design (if needed), and distribution to other retailers besides the publisher’s website (Amazon, Barnes and Noble, etc). The publishers I have listed are not predatory and have good reputations among authors. If you would like me to help you further, email me at spottedeagle9780 at aol dot com. Thank you for your advice But again How do I go about publishing My Book(s) – Joe What did you do or how did you go about it as I am sure there are those like me who ar so overwhelmed with the web and what people or companies say. Do you know of people like you Joe who has experience, that would read the book and give a comment in should I proceed or go and change a few things or am I wasting my time which I dont have many years left at 72. I myself feel that the story line is good but yes I am the person who wrote the book. So Joe or anyone else with your experience what would you suggest to theis first time have a go writter?. Agreed. I once had a client who used Book Locker, and she was very happy with their service. At 72yrs, I have written my first book with leads into my second book. I am currently looking at Balboa as I walked away from Xlibris as they applyied to much pressure on me with their package deal. the bells were ringing when I read the Terms and Condition. and I being a babe in the POD writters world. Then I came across the above article CAUTION – now I am no better off. So please any adice on honest POD that treats you properly and fairly. I have asked a couple of friends who have read the book(s) to be very honest and not hold back in their comments. They all except one have given the Book(s) a thumbs up a good story. So please any one what would you suggest I do. Are there any Honest and above board PODs out there?. Balboa is basically Xlibris’ twin sister which are part of a larger company called Author Solutions. CreateSpace is pretty good, but I have heard a lot of complaints here lately in author forums. Infinity, Telemachus Press, Mill City Press, and Book Locker are good honest POD publishers that will treat you right and put out a good product. Of course Joel will help you as well! 🙂 I hope that helps! Best of luck with getting published! Bob see my reply to Catherine Rourke, just above your comment. I’ve also had good reports about Book Locker, but I would be very careful with anyone who requires you to buy a publishing “package” rather than allowing you to choose the services you need. And if you run into a service that requires you to pay for all development of your book but bars you from setting the retail price, just walk away. As far as the former client who used Book Locker, I wonder if this company has changed how they operate, because she was able to select and manage her own cover designer, editor (me! ), and proofreader. I believe the only services Book Locker handled were the book’s interior design and the POD and distribution. Also does the “self publishing company” allow you to use your own isbn? If not that should definitely bring up red flags.